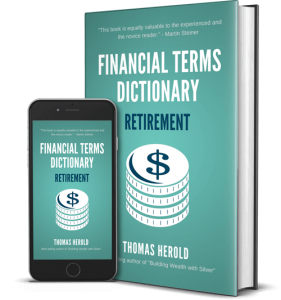 This practical financial dictionary for retirement terms helps you understand and comprehend most common retirement lingo. It was written with an emphasis to quickly grasp the context without using jargon. Each of the retirement terms is explained in detail and also gives practical examples. This book is useful if you are new to business and finance. It includes most retirement terms for businesses, investors, entrepreneurs and employees. It also covers the lingo that was introduced in the financial crisis of 2008 until 2017. With the alphabetical order it makes it quick and easy to find what you are looking for. This ebook in PDF format works with all ebook readers, mobile devices and computers.